Today's young couples want more than being told to cut up credit cards when it comes to managing their finances. They are looking for a bigger picture that is less about surface fixes and more about being in sync with their partner on a heart level and making informed decisions together. The study includes six video sessions, approximately 30-40 minutes each, that introduce a key relationship component, how it applies to money, and what a couple can do about it. The curriculum kit includes a "His" workbook, a "Her" workbook, and video content available via DVD. 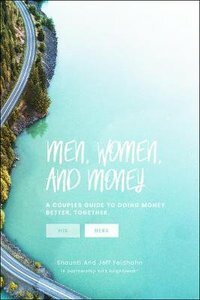 About "Men, Women & Money: A Couples' Guide to Navigating Money Better, Together (Her Guide)"